I wrote the last scene today in Renegade Legion. Not the one that goes at the end (I wrote that last month) but the last one to be written. Now I’m running through some sections that need readjusting or reconnecting for consistency (Such as the dialogue from a character who died in a battle a hundred pages earlier. Oops! That’s just plain disrespectful). And another full read-through. Then I’ve got to lay it out. So still plenty of work before I’m ready to put it out on beta (though I’m hopeful that could be next week) but today is definitely a milestone. Expect posts aplenty in the coming days on betas, trailers, sales, and maybe a short story from a character we’ve not seen much from up till now: Marine Laban Caccamo..
Can’t wait to read it!! I’ve FINALLY started writing my own stories. What can I say, you’ve inspired me! That’s brilliant news. I’d love to see them when you’re ready. Have you thought of joining a writers’ group? You get groups that vary in rules but essentially you submit a story or a chapter and the other members give constructive criticism and advice. You do the same for them in return. There are face to face ones and online. Me too 🙂 Thanks, Sam. Ok my Birth day is just a few days away 🙂 if you have anything in mind 🙂 lol and no need for gift wrapping. Love military sci fi. I totally enjoyed the last two books and am in agony waiting for the Renegade Legion to come out. I spent 18 years in the military and finding acronyms that we use in your books is nice. Welcome Brother Veteran!! 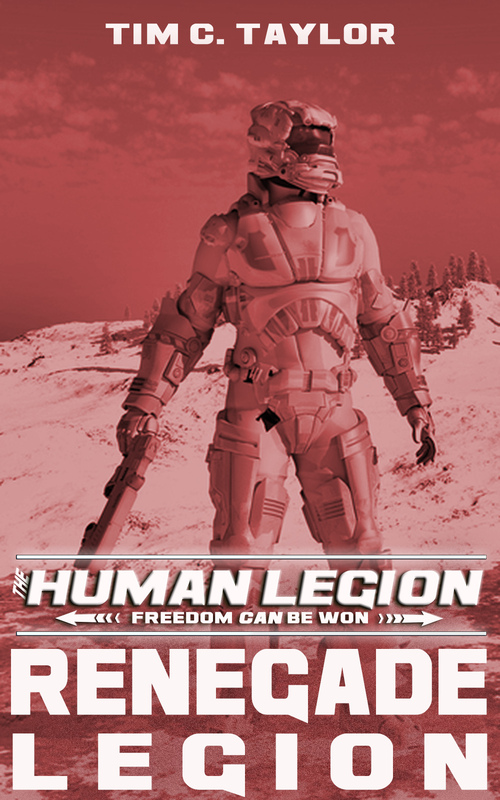 We’ll make a Human Legionnaire out if you yet!!! Hi David. Welcome to the site, and thank you for letting me know you enjoyed the books. Not long now for the next book. Still ironing out a few creases but getting very close. Yes David, we must rub the authors ego much like we rub Buddha’s belly!! Just smile and nod Tim, smile and nod! It’s okay if it’s a battle buddy doing it.